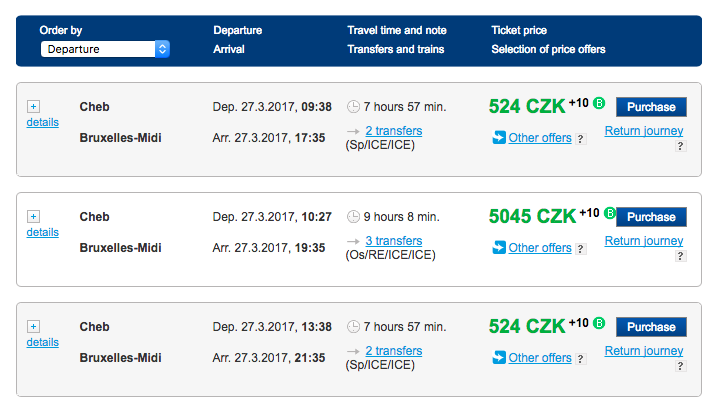 I’ve discovered a few tricks to book extra cheap rail tickets in the past – I’ve explained the Eurostar Aachen trick, and how to split tickets in Germany, but now – thanks to a discussion on Twitter with @seatsixtyone and others, there is a new trick – involving Czech Republic and its national railway, České dráhy (ČD), and a route through Cheb close to the Czech-German border towards Nürnberg. This approach works if you are travelling somewhere along the route Nürnberg – Würzburg – Frankfurt(Main) – Köln and even on to Brussels. It does not work if you are crossing into Netherlands or France. It only works for tickets booked ahead that oblige you to take certain trains – tickets are not flexible. So how much are these with Deutsche Bahn? So booking from Cheb is in all cases less than half the price! This trick also works if you are travelling through Czech Republic – so a Praha hl.n. to Brussels is also cheap, but has to be routed via Cheb (in the via station in ČD’s search) to make it work. 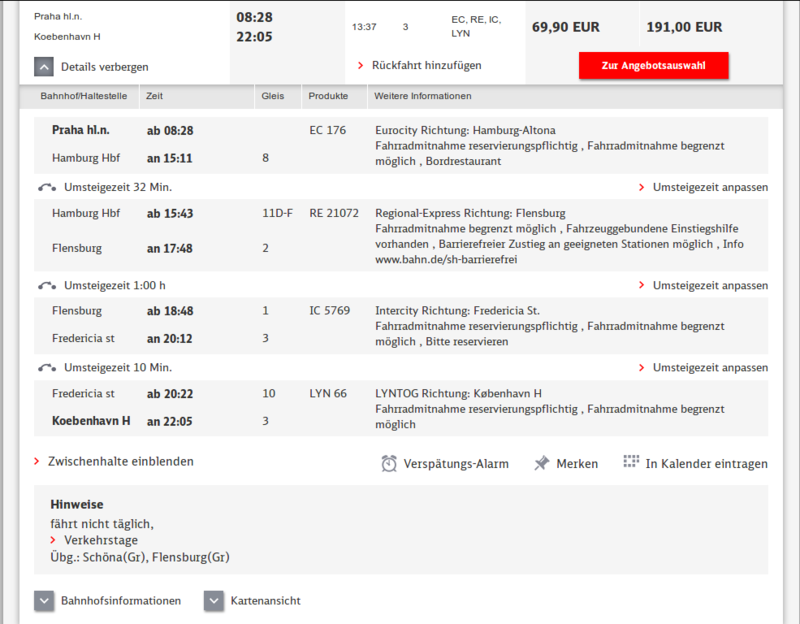 There is a similar, if slightly less useful, trick to get cheap tickets from Berlin to the Ruhrgebiet and Köln by starting your trip at Děčín hl.n. and routing via Berlin Hbf, but this does not work as far as Belgium – you have to end your trip in Germany. But here too I found Děčín – Berlin – Köln to be 50% less than Berlin – Köln for the same trains, booking a month ahead. There seem to be lots of limitations: many country combinations do not work. Do you know the exact rules for these tickets? The date I searched for is 17 May 2017.